Have you been thinking about making the switch to Shopify? Maybe your handmade business has outgrown Etsy, or you’re finding that Squarespace, Wix, or WooCommerce are no longer serving the needs of your growing online shop. There are plenty of reasons why we believe Shopify is the best ecommerce platform for small businesses, but that doesn’t make the task of migrating your online shop to Shopify any less daunting! Here’s what you need to consider before switching to Shopify, and why you might want to hire a Shopify expert (like us!) to help you make the move. How will your SEO be affected by switching to Shopify? Different ecommerce platforms typically use different URL structures, which means that if you switch to a different platform, the links to your old product pages may not be the same as the links to your new product pages. There are a few reasons why this matters. First, what if that wool scarf of yours was featured by a popular blogger, and their post about your product is generating most of the traffic to that page? Well, you can (and should!) reach out directly to that blogger with the new URL and ask them to update it, but you’ll also want to take matters into your own hands and make sure that any place that links to the old URL will get automatically updated to point to the new version of the URL instead. Second, you’ll also want to make sure that Google and other search engines get the memo that your URLs have changed. What you will need to do is set up URL redirects for all of your old links and product pages so that anytime someone clicks on the old version of a link, they will automatically get redirected to the correct version of the page. While Shopify simplifies things by calling this feature URL redirects in your account settings, you might also hear this referred to as 301 redirects. A 301 status code tells Google that a page has permanently moved to a new location. No matter what ecommerce platform you are switching to or from, 301 redirects are an important SEO consideration. One of the main reasons that people see a drop in website traffic after making a platform switch or going through a redesign is because they did not properly implement 301 redirects. Will Shopify integrate with your POS software and other tools necessary for running your business? Shopify offers their own Point of Sale (POS) system, which is a fantastic option for many retailers. But maybe you’ve been running your shop for awhile and you already have another POS system in place that works for you. Or maybe you need your ecommerce platform to communicate with other tools that you use to run your business, like your accounting software or an email marketing provider? The Shopify App Store offers a seemingly endless array of ways to integrate with various tools that you can use to process orders and market your business, but to a busy store owner, this can often seem overwhelming. Many apps offer similar features, and evaluating which apps can help you grow your business and which apps will wind up collecting dust on the backend of your online shop can be tricky. Do I have the time and resources to make the switch? In addition to choosing the right apps to integrate with your new Shopify website, you’ll also need to allocate time to testing and making sure that all of your information gets moved over properly to your new online shop. There are a number of different ways to migrate your shop’s data over to Shopify, depending on how big your shop is and how much data you have. If you have a very small shop, you may decide to simply copy and paste the content from your old site or transfer the data manually using CSV files. If you have a lot of products and customers, you may want to use a migration app from the Shopify App Store or use the Admin API to help pull the old data into your new store. No matter how you choose to transfer your data, you’ll want to double check everything to make sure that it is transferred correctly to your new site. You’ll also want to test your new Shopify website in different browsers and across different devices, like a desktop computer, iPad, and mobile phone, before pushing your new store live. Don’t forget about placing test orders either, so that you know how your customers will experience using your shop. Does all of this sound overwhelming? Don’t worry, we know that it IS overwhelming for a single shop owner. That’s why we have a whole team of people that work with our clients when they’re ready to switch to Shopify. Waiting to upgrade from an ecommerce platform that is no longer the best choice for your business could cost you a lot of time, money, and headaches in the long run. 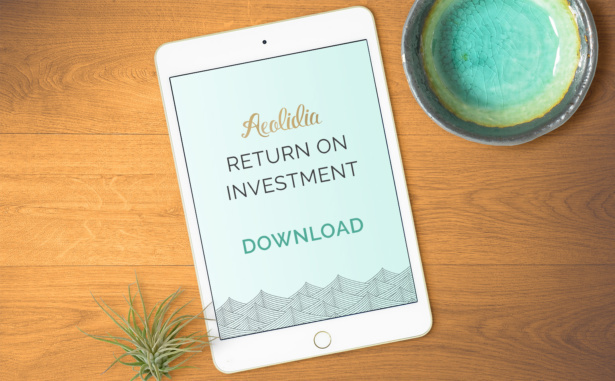 If you want to see how much money you could save with a website redesign (and how much money you might be wasting by waiting), download our free guide on forecasting your ROI or contact us for our rate sheet.